Article 1 This Law is formulated on the basis of the Constitution of the People's Republic of China for the purposes of developing physical culture and sport， building up the people's physique， improving sports performance level， and promoting the building of socialist material and spiritual civilization. Article 2 The state promotes the development of physical culture and sport and carries out mass sports activities to improve the physical fitness of the whole nation. The work of physical culture and sport adheres to taking the physical activities of all the people as its basis， combining popularization of sports with raising of performance level， and promoting a coordinated development in all fields of sport. Article 3 The state adheres to the service of physical culture and sport to economic construction， national defence and social advances. Physical culture and sport shall be included in the national economy and social development plan. The state promotes reform in sport administrative system. The state encourages enterprises and undertakings， public organizations， and citizens to run and support sport cause. Article 4 The sport administrative department under the State Council takes charge of the work of physical culture and sport of the whole country. Other relevant departments under the State Council shall be responsible for the management of physical culture and sport within their respective responsibilities. The physical culture and sport administrative departments under the local people's governments at and above the county level or the organs that are authorized by the people's governments at responsible level take charge of the work of physical culture and sport within their administrative area. Article 5 The state provides special guarantee to physical activities of children and young people to improve their physical and mental health. Article 6 The state helps minority nationality areas develop physical culture and sport and cultivates sport talents of minority nationalities. Article 7 The state promotes the development of physical education and sport scientific research， disseminates advanced and practical sport scientific and technological achievements， and relies on science and technology to make advance of sport. Article 8 The state awards those organizations and individuals that have made contributions to the cause of physical culture and sport. Article 9 The state encourages international contacts in sport， in which the principles of maintaining independence， equality and mutual benefit， and mutual respect are adhered to， the state sovereignty and dignity are defended， and the international treaties concluded or participated by the People's Republic of China are observed. Article 10 The state advocates participation of social sports activities by citizens to improve their physical and mental health. Social sports activities shall be carried out on a spare time， voluntary， small-scale and diversified basis， following the principles of suiting the measures to local conditions and in scientific and civilized way. Article 11 The state implements the National Fitness Programme， carries out the Physical Training Qualification Standards， and conducts supervision over the people's health. The state practises the system of grading social sport instructors， who give instructions to social sports activities. Article 12 The local people's governments at different levels should create necessary conditions for citizens' participation in social sports activities， support and help the organization of mass sports activities. In urban areas the functions of the residents' committees and other community organizations at the grass roots level should be played to organize sports activities in residents. In rural areas the functions of the villagers' committees and grass roots cultural and sports organizations should be played to carry out sports activities suited to villagers' needs. Article 13 The state organs， enterprises and undertakings should carry out various kinds of sports activities and organize massive athletic competitions. Article 14 Trade unions and other public organizations should organize sports activities in accordance with their own characteristics. Article 15 The state encourages and supports the exploration， systematization and improvement of traditional national and folk sports. Article 16 Participation of physical activities by old and handicapped people should be concerned and supported by the whole society. People's governments at different levels should take measures to make it convenient for old and handicapped people to participate in physical activities. Article 17 The educational administrative departments and schools should take physical education and sport as a component part of the education in schools to cultivate talents who are all-roundly developed in moral， intellectual and physical education. Article 18 Physical education must be included in school curriculum and be taken as an examination subject for assessing students' work. Schools should create conditions to organize sports activities suited to the special needs of diseased and disabled students. Article 19 Schools must implement the National Physical Training Qualification Standards and ensure the time used for sports activities during students' stay in schools every day. Article 20 Schools should organize various kinds of after-class sports activities， carry out after-class athletic training and competitions， and hold annual school-wide sports games in the light of conditions. Article 21 Schools should assign qualified physical education teachers according to the regulations set by the state and guarantee that physical education teachers enjoy the treatments that are in line with their working traits. Article 22 Schools should abide by the criteria set by the education administrative department under the State Council to provide sports fields， facilities and equipments. Sports fields in schools must be used for sports activities and must not be diverted to any other purpose. Article 23 Rules for medical examination of students' health should be established in schools. The administrative departments of education， sport and public health should strengthen the supervision over students' physique. Article 24 The state promotes the development of competitive sports， encourages athletes to raise their athletic performance and technology level， create excellent achievements in sports competitions， and win honours for the country. Article 25 The state encourages and supports spare time athletic training to foster reserved sports talents. Article 26 Athlets and teams that participate in important national and international sports competitions should be selected and formed based on the principles of fairness and best-to-choose. Detailed regulations shall be laid down by the sport administrative department under the State Council. Article 27 Cultivation of athletes must be carried out with strict， scientific and civilized training and management. Athletes should be educated in patriotism， collectivism and socialism as well as in morality and discipline. Article 28 The state provides the outstanding athletes with preferential treatment in their employment for jobs and enrollment for higher grade education. Article 29 The national sports associations for individual sport take the charge of the registration of athletes of each relevant sport. Athletes that have been registered are permitted， in accordance with the regulations set by the sport administrative depart meat under the State Council， to participate in relevant sports competitions and move between different sports teams. Article 30 The state practises the systems of grading athletes， grading referees and grading professional titles for coaches. Article 31 The state manages sports competitions in grade and classification. Comprehensive national games are managed by the sport administrative department under the State Council or by the sport administrative department under the State Council together with other relative organizations. National competitions of individual sport are managed by the national sports associations of the said sport. Administrative rules for local comprehensive sports games and individual sports competitions are drawn up by the local people's government. Article 32 The state practises the approval system for national sports records. National sports records are approved by the sport administrative department under the State Council. Article 33 Disputes occurred in competitive sports activities are mediated and arbitrated by sports arbitration organs. The measures for establishing sports arbitration organs and the limits of arbitration shall be drawn up by the State Council separately. Article 34 The principle of fair-play is followed in sports competitions. Organizers of competitions， athletes， coaches and referees should abide by sportsmanship， and must not resort to deceit or engage in malpractice for selfish purpose. Use of banned drugs and methods are strictly prohibited in sports competitions. Banned drugs control institutions should take strict examinations on banned drugs and methods. Gambling activities by any organizations or individuals taking advantage of sports competitions are strictly forbidden. Article 35 The symbols such as titles， emblems， flags and mascots of major sports competitions held within China are protected by the relevant regulations of the state. Article 36 The state encourages and supports sport public organizations to organize and conduct sports activities in accordance with their constitutions to promote the development of physical culture and sport. Article 37 The sports federations at different levels are mass sport organizations that connect and unite athletes and sports personnel. They should play their roles in the development of physical culture and sport. Article 38 The Chinese Olympic Committee is a sport organization that takes the development and promotion of the Olympic movement as its chief task. It represents China to participate in international Olympic affairs. Article 39 The sport scientific public organizations are academic mass organizations of sport scientific and technological personnel. They should play their roles in promoting sport science and technology. Article 40 The national sports associations for individual sport take the charge of the popularization and enhancement of the said sport. 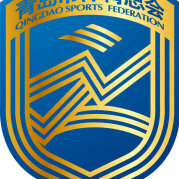 They represent China in the relevant international sports federations. Article 41 The people's governments at and above the county level should include funds for sport administration and sport capital construction in the financial budget and capital construction investment plan of the said government， and progressively increase the investment in physical culture and sport along with the development of national economy. Article 42 The state encourages enterprises and undertakings and public organizations to expand physical culture and sport by self-raised funds， and encourages organizations and individuals to contribute to and sponsor physical culture and sport. Article 43 The state departments concerned should enhance the management of sports funds. No organization or individual is allowed to divert sports funds for other purpose or pocket sports funds. Article 44 The sport administrative departments under the local people's governments at and above the county level should， in accordance with the relative regulations set by the state， strengthen the management and supervision over business activities that are engaged in body health， competition and other sports activities. Article 45 The people's governments at and above the county level should， in accordance with the regulations set by the state on the land quotas for public sports facility in cities， include the urban capital construction for public sports facilities into the city construction plan and overall land use plan， make rational layout of the facilities and unify the planning. In planning the layout of enterprises， schools， streets and residential districts， sports facilities should be included in the construction programme by the city. In townships， minority nationality townships and towns， sports facilities should be built and perfected progressively along with the economic development there. Article 46 Public sports facilities should be opened to the society for the convenience of the masses to engage in sports activities. Students， old and disabled people should be treated preferentially to raise the utilization ratio of sports facilities. No organization or individual is allowed to seize or destroy public sports facilities. Temporary occupation of sports facilities because of special needs must be approved by the sport administrative department and the construction planning department and must be returned without delay. Should any sports field be used for other purpose due to urban layout programme， new sports field should， in accordance with the relevant regulations of the state， be constructed beforehand for replacement. Article 47 The sports equipment and apparatus used for national and international competitions must be examined and approved by organs appointed by the sport administrative department under the State Council. Article 48 The state promotes the development of physical education， establishes various types of universities， institutes， departments and subjects of physical education to cultivate professional personnel working for athletic training， coaching， physical education teaching， scientific research， sports management and mass sport. The state encourages enterprises and undertakings， public organizations and citizens to operate professional education for sport in accordance with the law. Article 49 Anyone who violates the discipline or sports rules such as practising fraud and others in competitive sports shall be given punishment by sport public organization in accordance with the provisions of the constitution； if the person directly responsible is a state staff member， he or she shall be subject to disciplinary punishment in accordance with the law. Article 50 Anyone who resorts to banned drugs or methods in sports shall be punished by sport public organization in accordance with the provisions of the constitution； if the person directly responsible is a state staff member， he or she shall be subject to disciplinary punishment in accordance with the law. Article 51 In the event that anyone commits gambling activities by taking advantage of competitive sports， the sport administrative department shall assist the public security organ to order the offender to stop the illegal practice and the public security organ shall impose punishment on the offender in accordance with the provisions of the regulations on administrative penalties for public security. Anyone who commits corruption， swindle， getting up gambling shall， if the case constitutes a crime， be investigated for criminal responsibilities in accordance with the law. Article 52 Anyone who seizes or destroies public sports facilities shall be ordered by the sport administrative department to make corrections within a definite time and shall bear civil liabilities according to the law. Should the aforesaid act violates public security administration， the offender shall be punished by the public security organ in accordance with the provisions of the regulations on administrative penalties for public security； or should the act constitutes a crime， the offender shall be investigated for criminal responsibilities according to the law. Article 53 Anyone who commits seeking a guarrel of making trouble， or disturbing public order shall be criticized， educated and stopped； and shall， if the case violates public security administration， be punished by the public security organ in accordance with the provisions of the regulations on administrative penalties for public security； or shall， if the case constitutes a crime， be investigated for criminal responsibilities according to the law. Article 54 Anyone who violates the state financial or accounting rules， diverts or pockets sports funds shall be ordered by the higher authority to return the diverted or pocketed funds within a definite time； the persons directly in charge and other persons directly responsible shall be subject to disciplinary punishment in accordance with the law； should the case constitute a crime， they shall be investigated for criminal responsibilities in accordance with the law. Article 55 The detailed measures for management of sports activities in the army shall be drawn up by the Central Military Commission on the basis of this law. Article 56 This law shall go into effect as of October 1， 1995. Copyright © 2017 Corporation,All Rights Reserved.